pictured here with Jennifer Sherwood (center), the Wyncote Audubon Society Crosswicks Sanctuary Chair. Twenty BB&T volunteers worked over the course of two full days to establish native plants in the “Zucker Glade” at the Sanctuary. BB&T selected Crosswicks as a “Lighthouse Project” and contributed $1,000 in plants and supplies. During the month of May, Crosswicks Sanctuary is always good place to search for Neotropical migrants. The small streams, mature trees and wet woodland understory make it a good migratory stopover for birds traveling northward. Though small in size, Crosswicks provides food, water and cover for migrating birds to feed and rest before resuming their migratory journey. 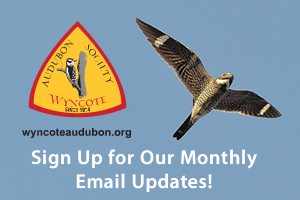 Wyncote Audubon has strived to establish a greater number of native plants at Crosswicks, as they are particularly beneficial for birds. 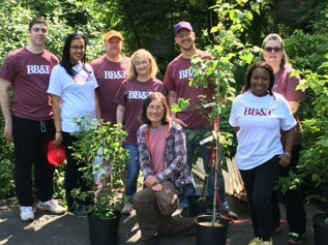 BB&T Bank selected Crosswicks as one of their “Lighthouse Projects.” Approximately twenty volunteers from the BB&T branches in the region, including Abington, Jenkintown, Huntingdon Valley, and Grove worked at Crosswicks for two full days. BB&T contributed $1,000 in native plantings and supplies to plant a variety of native plants in the Zucker Glade. The native plants included Dogwood Trees, Carolina, Redbud, and other understory trees and shrubs. Our Wyncote Audubon Society Crosswicks Committee Chair, Jennifer Sherwood, provided the volunteers with a tutorial on how to correctly plant the trees and shrubs and helped to supervise their work. Each of the plants was staked and protected by “deer netting” to help give the plants a head start to be established. 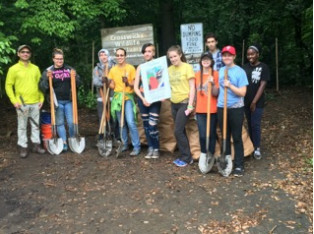 Later that same month, students from Abington Senior High School contributed a full day of work during the high school’s “Service Learning Day.” These students planted native trees and shrubs at the Pembroke entrance to the sanctuary. The native plants were purchased with the funds that were contributed in the memory of Kenneth McClurkin who passed away last year. A Crosswicks neighbor, Ken would come to the sanctuary to clear a path of a fallen tree and do other good deeds to help maintain the sanctuary. He was dubbed the “Crosswicks Angel” because he would work alone to do what needed to be done. 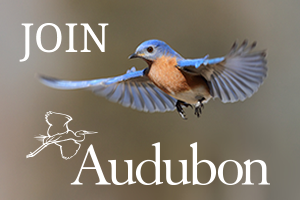 His many friends and family made financial contributions to Wyncote Audubon and now the “McClurkin Glade “ has been established with the efforts of the Abington High School student volunteers.